Mumbai, Oct 10 : The Indian equity markets on Monday provisionally closed on a flat-to-positive note on the back of reduced chances of a US rate hike and a strengthened rupee. However, gains were capped by profit booking, negative European markets and caution ahead of key quarterly earnings’ results. The wider 51-scrip Nifty of the National Stock Exchange (NSE) gained 16.00 points or 0.18 per cent to 8,713.60 points. The barometer 30-scrip sensitive index (Sensex) of the BSE, which opened at 28,144.28 points, provisionally closed at 28,085.86 points (at 3.30 p.m.) — up only 24.72 points or 0.09 per cent from the previous close at 28,061.14 points. 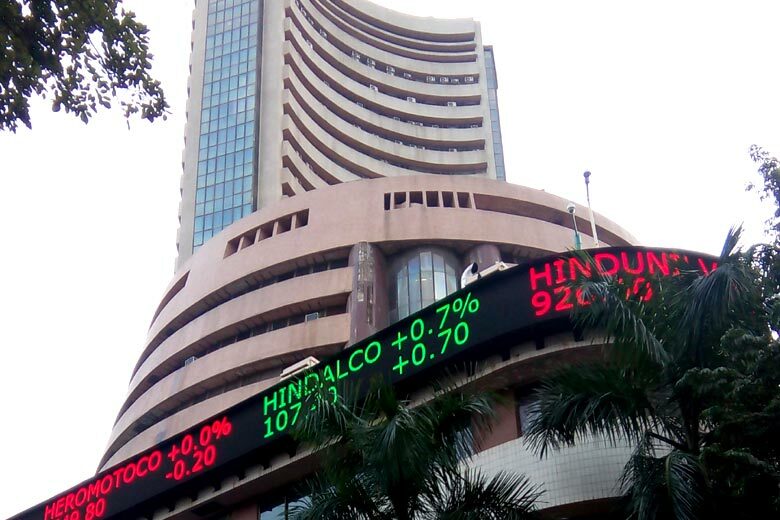 The Sensex touched a high of 28,216.64 points and a low of 28,068.32 points during the intra-day trade. The BSE market breadth was tilted in favour of the bulls — with 1,704 advances and 1,175 declines. On last Friday, both the key Indian indices were pulled lower by negative global indices, caution ahead of earnings’ announcements and profit booking. The barometer index had closed lower by 45.07 points or 0.16 per cent to 28,061.14 points, while the NSE Nifty surged by 11.95 points or 0.14 per cent to 8,697.60 points.